Traditional solvent-based finishing or powder coating – there has been long ongoing debate on the same. 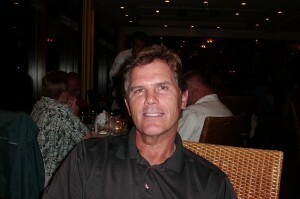 Amid the growing environmental concerns, the later seems to be the favored choice of manufacturers. Powder coating is considered a green technology due to various reasons. Are you intrigued to know why it is a green friendly technology, when compared to traditional finishing? If yes, this post will highlight different points, which work in the favor of this technology. 1. Powder Coating Produces No VOCs: Volatile Organic Compounds, also referred as VOC’s, are released in the air, during the curing or drying of the paints. VOCs are considered a major threat to the environment, because they are known to harm the ozone. If trapped indoors, VOCs can cause severe health issues to people who are exposed to it. However, powder coated finishes produce no VOCs, which means they cause no air pollution. This is the reason why these coatings are recommended for indoor products. 2. No Wastage is produced: Powder coating is basically a two-step process. The powder is sprayed over a product using a powder gun. In the next step, the powder sprayed part is cured inside a powder coating oven. This helps in melting the powder, and allows it to spread evenly over the desired part. The unused powder along the overspray can be easily recovered. Also, they can be reused later. It means there is no concern about the wastage disposal. If using the traditional enamel paints, the main issue lies in draining and disposal of the paint. Also, it saves the costs incurred for chemical paint thinners that are used for correcting mistakes in the pre-curing stage. You can easily blow off the excess powder in the pre-curing stage to avoid mistakes. 3. Safe for People Involved: Employee safety is a major concern for any manufacturer. However, powder coating perfectly meets this requirement. As it contains no emulsifiers or solvents, which means there are minimal hazards pertaining to mouth, throat, or nose infections. These infections are mostly seen in people handling enamel-based liquid paints, where the particles tend to stick to their bodies during the summer. However, some people may be sensitive to certain chemical elements in these powders, but they hardly lead to any dangerous health consequences. The powder can be easily washed using lukewarm water. 4. Durability of Powder Coating Products: The powder coatings help in reducing the carbon footprint of the surfaces on which it is applied. Why? Because most powders are known to absorb solar radiation, and contribute to the climatic control of those substrates. Also, towards the end of the service life, powder coated substrates and metals can be easily recycled. 5. Adheres to Environmental Regulations: All the above-mentioned points suggest that powder coating produces no toxins, or VOCs and is inert. It means, the technique easily meets several environmental protection regulations. In addition to this, it becomes important that you check with your specific jurisdiction to know the additional codes that apply for your industry. Also, you need to ensure that the equipment used for the purpose meets all relevant environment codes. It is important that you consider the above-mentioned points while making a buying decision on powder coating ovens. 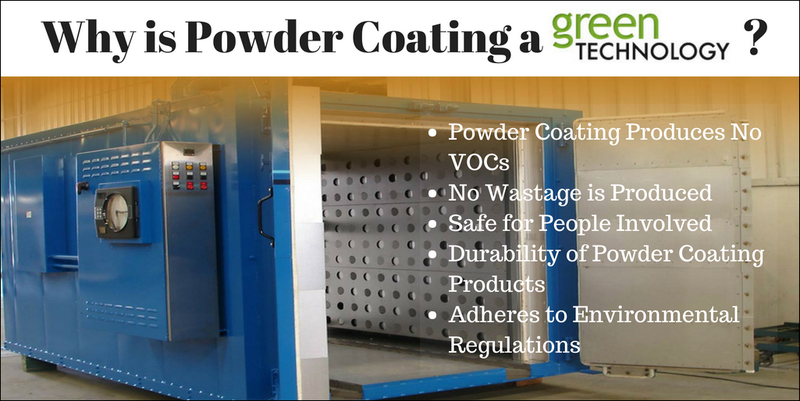 Although you may find cheaper alternatives to industrial powder coating ovens, still they may not fulfill the above requirements. Hence, it is important that you source your product from a reliable industrial oven manufacturer like ACE. We provide a comprehensive range of new and used powder coating ovens that comply with all existing industrial and commercial codes.